More than a million research papers are published every year and competition is fierce for a place in a top journal. When you’re getting ready to submit to a journal, you want to be sure you’ve done everything you can to make your manuscript the best it can be. You have checked it with your co-authors, gathered feedback from your colleagues and even run it past your sister for good measure. But before you hit submit, don’t forget to edit your manuscript. As an author, language is your responsibility; your manuscript won’t be subject to editing during the peer review process. If English isn’t your native language, editing is especially important. Why? When the editor receives your manuscript, it may be in a long queue of other hopefuls. The editor might have a set of ‘desk rejection’ criteria to follow; editors can reject up to 50% of submissions without sending them for peer review. If your language is poor, your submission could be rejected on the spot. 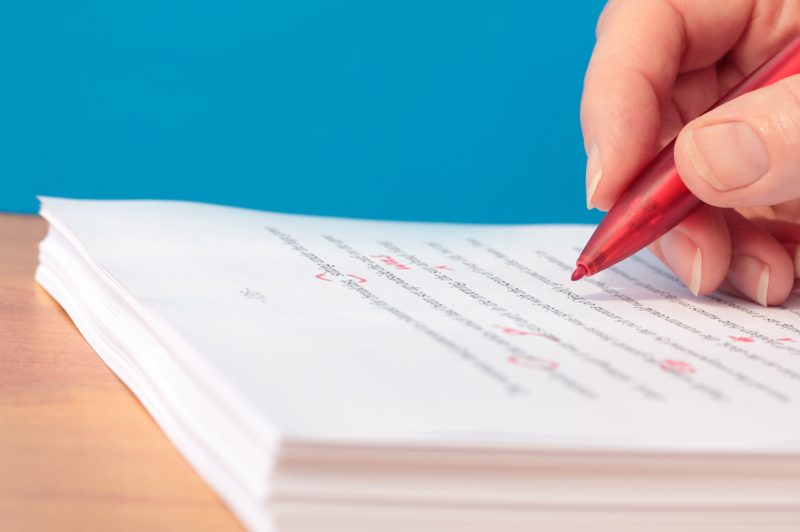 Editors care about the overall quality of a submission: sloppy writing suggests – rightly or wrongly – that the science is also sloppy, and that raises a red flag to the editor. When they have so many other submissions to deal with, yours won’t make it to the next stage if it’s full of errors. It’s not the reviewer’s job to copy edit your paper, but if they see countless mistakes, they might be distracted enough to start correcting your language. The peer review process is a vital step in ensuring the quality of scientific publications. Reviewers can be hard to come by and they have a large workload, so correcting language mistakes is especially frustrating for them. Typos, grammatical mistakes and misused punctuation will also give them a negative impression of your paper, which won’t make them more likely to recommend your paper for publication. Ultimately, the goal of submission is to get your research into the hands of your readers; this is worth thinking about before you submit. What do they want to see? Would they understand what you’ve written? Would they be happy if the language was poor? If competition is fierce for publication, it’s downright brutal for readership. There are millions of articles for your readers to choose from; if your paper is not well written and edited, your readers won’t know if it’s relevant and they won’t enjoy reading it, which could mean you miss out on downloads and citations. One way to avoid this is to get it right at submission, by editing your manuscript. Don’t despair, there are a few simple ways to make sure you don’t fall into the poor language trap. Firstly, make sure you use spellcheck. It seems simple enough, but a surprising number of manuscripts are full of typos that could be spotted easily and automatically by a word processor. Once you’ve drafted your manuscript, ask a native English speaker to read it. Better yet, ask a professional language editor to take a look – they’ll know exactly what to look for, and help you make your manuscript the best it can be.